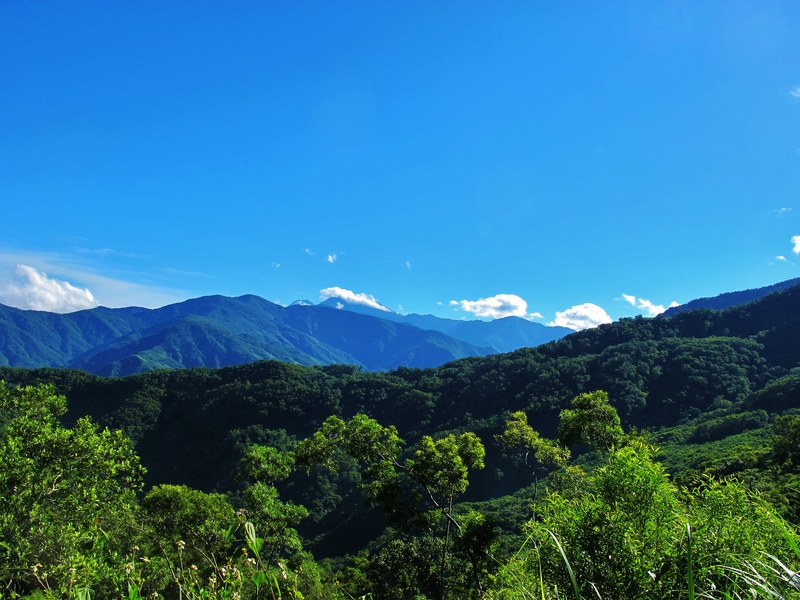 Wild mountain scenery at Dahanshan, which lies at the far southern edge of the central mountain chain in Pingtung County. I had been meaning to check out Dahanshan for some time. This rather remote mountain lies at the southern end of the central mountain chain, in Pingtung County, and is accessed via an extremely poorly-surfaced 27km-long road from the town of Shueidiliao, just north of Fangliao. Dahanshan lies at around 1,300 meters altitude, and it felt very cool and breezy up there – more so than I expected, given that it’s not a particularly high mountain, and sea-level weather conditions today were exceptionally hot. Unsurprisingly for mid-July, bird activity was low, but it was good to scope out the area and plan for return visits in fall and winter. It took a bit of guesswork to find the access road, and the bumpy drive up the mountain seemed to take forever; I guessed my average speed was around 20km/h. The beautiful scenery compensated for the tedious driving. 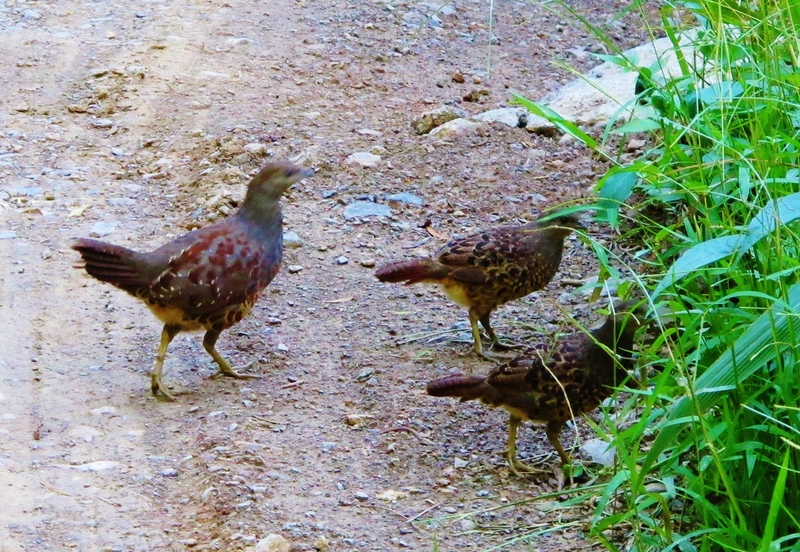 Along the way, I saw a Black-eared Kite on a roadside pole, then an adult Taiwan Bamboo-partridge and two well-grown young birds on the road – I just got a quick snapshot before they disappeared into cover. The more heavily wooded sections of the road, especially beyond Km 16, look like a good bet for Swinhoe’s Pheasant in the early morning. Taiwan Bamboo-partridges, Dahanshan, July 16th. Just after the Km 23.5 marker, a parking area and signboard on the left mark the start of a wide trail through mountain forest and open scrubland. It’s about 15km long, and I am told that it emerges on the east side of Taiwan in Taitung County. This would undoubtedly make for a great day hike, although there would be logistical issues with transportation to and from the trailheads at each end. 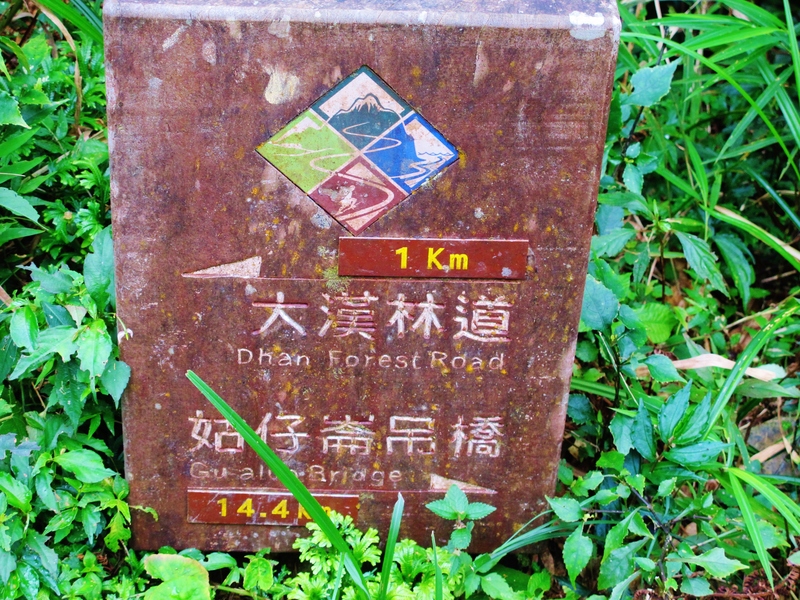 Signboard on the Km 23.5 trail at Dahanshan. 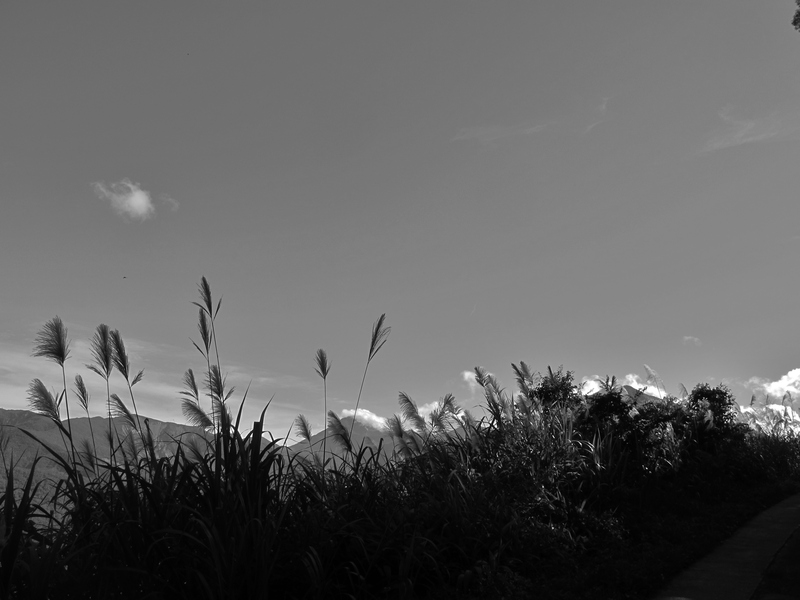 It would be good to walk the entire length of this trail one day, and see where in Taitung County it comes out. I walked the trail for about 1km, seeing a pair of Rusty Laughingthrushes as well as small numbers of some of the commoner mid-altitude mountain birds. Returning to the road, I continued to drive up the mountain, only to find my way blocked at Km 27 by a military installation. For birding, the best strategy is probably to focus on the trail, and the road between about Km 19 and Km 24. 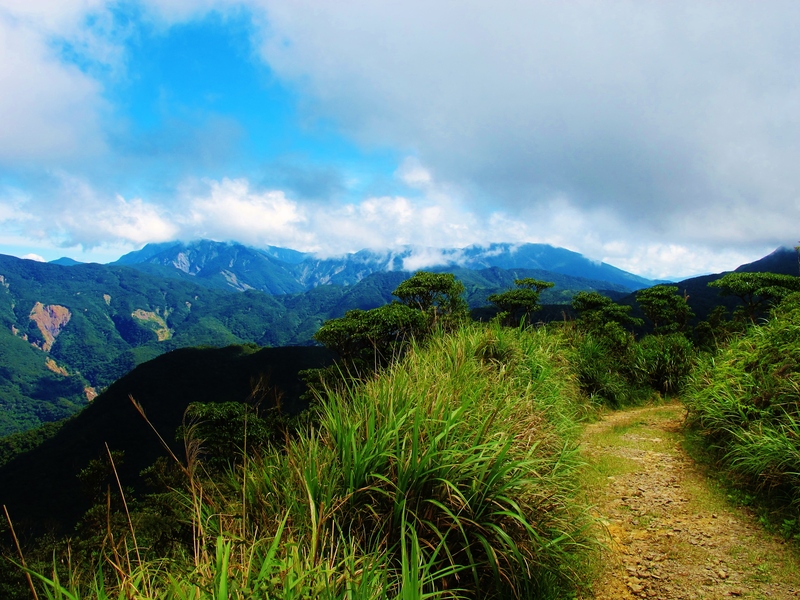 Wonderful scenery along the Dahanshan – Taitung County trail. Despite the feeling of remoteness, I wasn’t alone at Dahanshan, even on a Wednesday morning, with several butterfly enthusiasts in the area. At night, it is a popular place for herpetologists, with the rare Hundred Pacer snake sometimes seen. I have been told that nocturnal visits to the upper reaches of the road can be productive for owls, with Collared Scops Owls regular, and Mountain Scops Owls also likely. I will have to return again when I’m feeling patient enough to tackle the never-ending access road.